Johannesburg on the 26 May 2018, hosted by South Africa at Birchwood Hotel. it’s all about triumph at the regional level. giving back in a social responsibility initiatives. of glimpse and glamour were the winners fro the 2018 edition will be announced. for stepping up and offering to host the second edition RASA,” concludes Mutoya. 1. Teboho Lelimo, Chess, Lesotho. 2. Thandolwethu Motsa, Taekwondo, Kingdom eSwatini. 1. 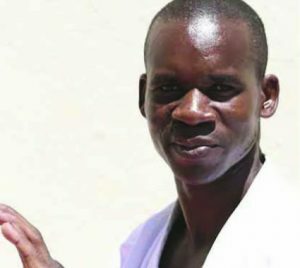 Ofentse Bakwadi, Karate, Botswana. 2. Peter Banda, Football, Malawi. 4. Luvo Manyonga, Athletics South Africa. 5. Sibusiso Matsenjwa, Athletics, Kingdom eSwatini. 6. Patson Daka, Football Zambia. 2. Neheng Khatala, Athletics, Lesotho. 3. Tabitha Chawinga, Football, Malawi. 5. Caster Semenya, Athletics, South Africa. 2. Johannes Nambala, Athletics, Namibia. 3. Dyan Buis, Athletics, South Africa. 1. Nonofo Zingwa, Special Olympics, Botswana. 2. Lahja Ishitile, Athletics, Namibia. 3. Illse Hayes, Athletics, South Africa. 2. Griffin Saenda Junior, Football, Malawi. 5. Thabo Vilakati, Football Kingdom eSwatini. 1. Karabo Sibanda, Athletics Botswana. 3. Luvo Manyonga, Athletics South Africa. 4. Tony Tsabedze, Football, Kingdom eSwatini.